Degenerative disc disease, while one of the more common sources of chronic back and neck pain, remains one of the more difficult spinal conditions to treat effectively. As we age, discs between bones of the spine (vertebrae) can become damaged, begin to degenerate and ultimately contribute to spinal instability. Currently, the standard surgical treatment for symptomatic degenerative disc disease is spinal fusion, in which two or more vertebrae are permanently fixed together as a single unit. This procedure can have notable disadvantages, including limited flexibility, altered biomechanics of the spine, and potential for degeneration of discs above and below the spinal fusion procedure. Disc replacement surgery is a cutting-edge alternative to spinal fusion that involves replacing a damaged disc with an artificial implant which closely mimics the stability and shock absorbing properties of a healthy spinal disc. By avoiding fusing multiple vertebrae together, this spinal surgery procedure preserves the spine’s natural flexibility and biomechanics spine while relieving pain due to spinal instability. The team of spine surgery specialists at ProMedSPINE are board-certified neurosurgeons with fellowship training in advanced spine surgery. At ProMedSPINE, we take pride in offering the most sophisticated technology and cutting-edge minimally invasive spine procedures to provide the highest quality of care for our patients. To learn more about this revolutionary spine surgery, or to schedule an initial consultation, please contact our office today! Efforts to create a safe, durable, and functional artificial disc began in the early 1960s. In the past 50 years, the design of artificial discs has improved dramatically, making disc replacement the treatment of choice for many patients requiring surgical stabilization. An artificial implant is a composite structure, composed of rigid metal endplates and a polyethylene or rubber spacer in between. With the endplates securely fixed to vertebrae above and below, the flexible spacer provides cushion and enables all the complex range of motions of a natural spinal disc. An artificial implant can be easily monitored through X-ray imaging and is built to support normal daily activities for up to 50 years. The materials used are similar to those used in hip and knee replacements, and are designed not to cause irritation or sensitivities. To learn more about artificial disc replacement, please visit the AAOS website. How Does Disc Replacement Work? Dr. Gravori and his team are among a select group of physicians trained to perform artificial disc replacement in both the neck and the lower back. Depending on the patient’s condition, replacement surgery may be performed from the side (lateral) or front (anterior) of the spine. The first step of spine surgery is to remove the damaged disc (complete discectomy). The vertebrae above and below are then spread apart slightly and the artificial implant is inserted into the vacated space, with the metal endplates securely fixed into the vertebral surface. Overtime, bone will naturally grow around the metal plates and provide additional stability to the implants. Finally, the incision is closed with sutures. Recovery time following replacement may vary from one to several days after spine surgery, depending on the patient’s health, surgical technique, and the location of the replaced disc. Generally, there is less pain and fewer complications associated with replacement compared with traditional spinal fusion. Our team consists of board-certified neurosurgeons with fellowship training in advanced spine surgery. Dr. Gravori’s Los Angeles-based practice, ProMedSPINE, is dedicated to the comprehensive, state-of-the-art treatment of diseases and injury within the spine. 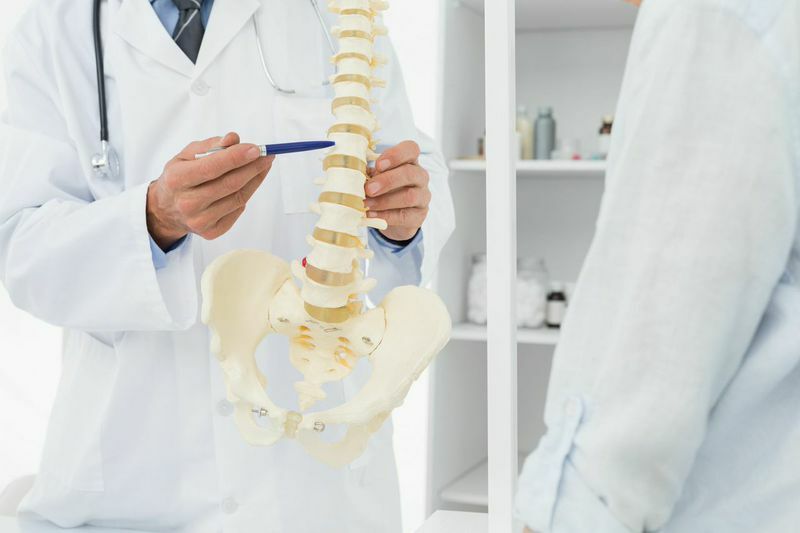 Widely regarded as leading experts in minimally invasive spine surgery, our team utilizes their extensive knowledge of spinal pathology and the most cutting-edge surgical techniques to provide high quality, patient-centered care. To learn more about the disc replacement surgery or to schedule your initial consultation with one of our renowned spine surgeons, please call 888-75-SPINE or fill out our online contact form.